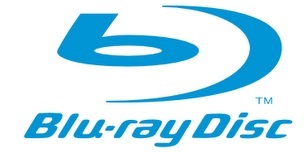 As both TV screens and monitors get bigger and cheaper there is an increasing demand for HD Content, and supplying the playback for this content is the job of the myriad of manufacturers of Blu-Ray players. Sadly few Blu-Ray players and drives stand out from the crowd. Lite-On has recently released a strong contender that may just stand out from the ever increasing crowd of Blu-Ray combo Drives. The recent contender entered into the arena is the iHES208 model BD Combo Drive courtesy of Lite-On. PC Required For High Definition BD Playback & Authoring: (Only Windows XP SP2)Pentium D 3.0GHz or faster CPU and 1GB or higher RAM are required. As you can see the iHES208 supports all the standard formats with the speeds for read and write that you would expect from a modern drive. It should be noted that this is a Blu-Ray reader drive and not a Blu-Ray writer drive.